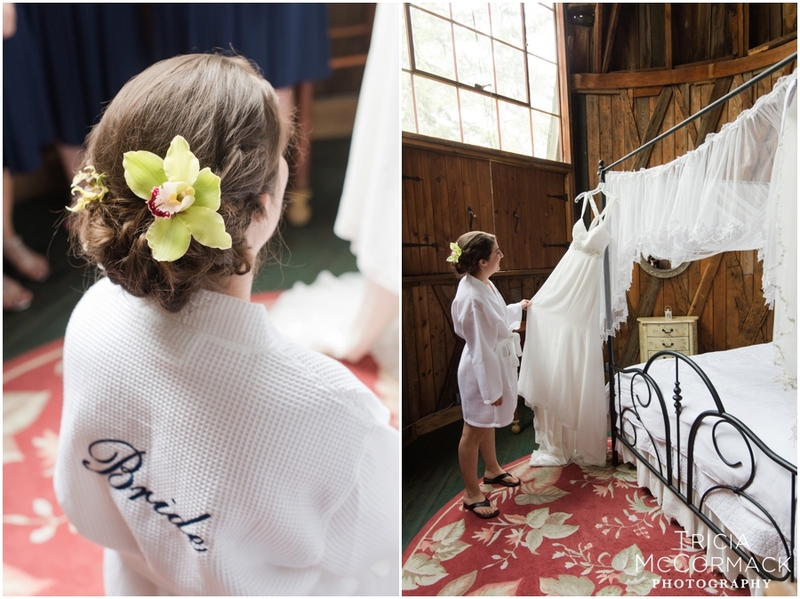 Submitted by Tricia McCormack Photography. Originally published on May 20th, 2016. 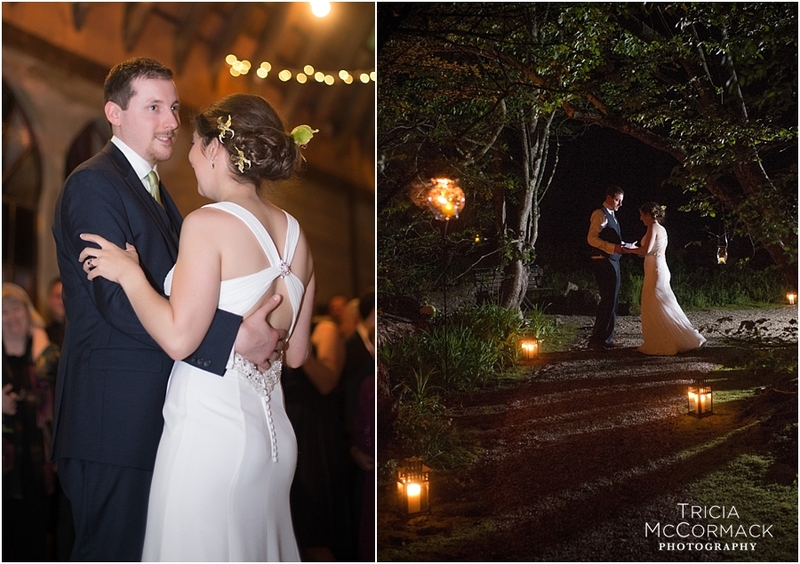 A word from the photographer: Gabrielle and Dana were married on May 14th, with a ceremony and reception at Santarella, also known as the Tyringham Gingerbread House, this place is amazing in so many ways. It was a gorgeous outdoor ceremony at this fun and whimsical venue. The forecast had called for rain, but instead, the sun broke through the clouds to light up the ceremony by the pond. 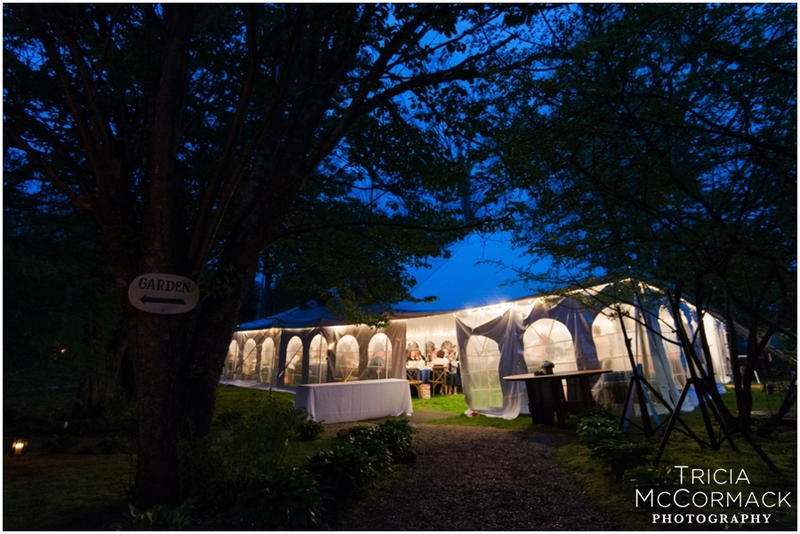 It did end up raining once, but guests were safely in the tent enjoying dinner at the time. The entire day was filled with sweet moments. Examples included the adorable moment when Gabrielle's little nephew got a splinter but after a Band-Aid and cuddles, he came back to smile big for pictures. Another included the moment when the rings were passed around during the ceremony so everyone could touch them before they made it back to the bride and groom—details like these are only a couple of examples that proved how important their loved ones are to these two. There were so many other little details that we loved. The earthy tone to the flowers was perfect for a garden wedding. Guests were loving the guest book of engagement photos and writing their own personal notes for Gabrielle and Dana scattered throughout the pages. Something I had never seen before was the monogrammed "token" fastened to each of the menus for the guests. They announced that as a favor, each token represented a donation to a charity that Gabrielle and Dana would make in the guest's name. The bride and groom had chosen a favorite charity of their own and it was each guests individual decision in which charity donation jar to drop their token in. 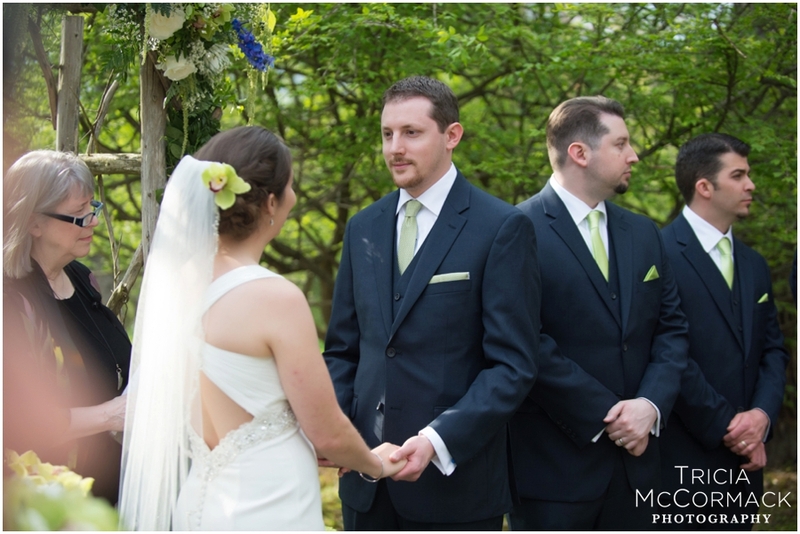 Lastly, we loved the fact that Dana showcased his love of Star Wars and gaming throughout the day with a hint of details in the cuff links, engraving on the ring, and even subtly placed in the ceremony vows. Thank you, Dana & Gabrielle, for letting me be part of this amazing day. I wish so much love in your future together!